﻿ Hurry into Kendall Honda and check out our huge selection of Honda cars, trucks, and SUVs. Spring deals currently going on! The Honda Insight is back! Come take a look at the returning fan-favorite today at 846 Goodpasture Island Road! 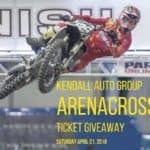 Kendall Honda wants to send you to the AMSOIL Arenacross at Veterans Memorial Coliseum in Portland on Saturday, April 21, at 7 pm. Click here to enter to win FOUR tickets to this event by filling out the form and answering the questions. 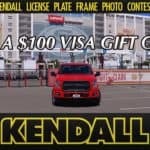 Enter today, because the contest ends April 18 at 8 am PT.